jesus had spinach on his head... and a lazy eye. The little known Piccaso Jesus!! He looks like his name should be spelled "Jasus" or something. 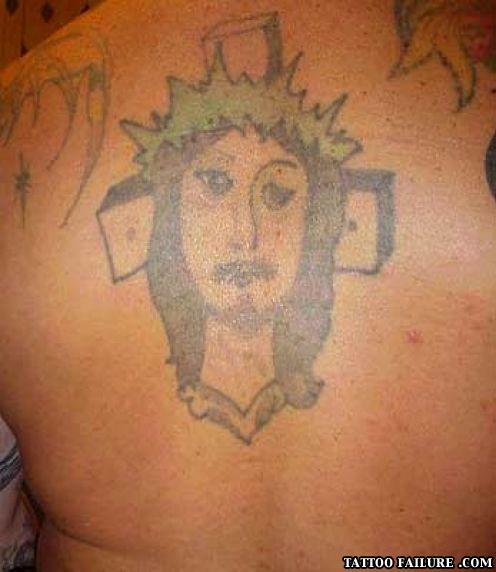 This tattoo is proof there is no God. Jesus definitely didn't rock the molestor mustache! does jesus own a v-neck?